For the Spanish film actor, see José Canalejas (actor). This name uses Spanish naming customs: the first or paternal family name is Canalejas and the second or maternal family name is Méndez. 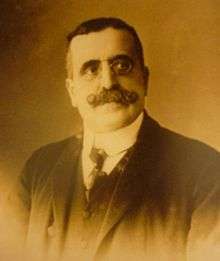 José Canalejas y Méndez (31 July 1854 – 12 November 1912) was a Spanish politician, born in Ferrol. 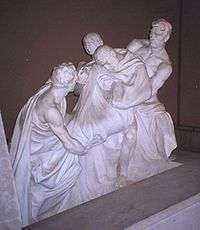 Canalejas graduated in 1871 from the University of Madrid, took his Galicia doctor's degree in 1872 and became a lecturer on literature in 1873. He later studied railway problems, but continued his literary work, publishing a history of Latin literature in two volumes. In 1881 Canalejas was elected deputy for Soria. Two years later, he was appointed under-secretary for the Prime Minister's department under Posada Herrera; he became minister of justice in 1888 and finance from 1894 to 1895. A brief spell as Minister of Agriculture, Industry and Commerce from March to May 1902 ended after only two months, when he resigned as he regarded the Sagasta Ministry weak and "incapable of safeguarding the Sovereignty of the State in view of the encroachments of the Vatican". He served as President of the Congress of Deputies (the equivalent to the Anglo-Saxon office of parliamentary Speaker) from 1906 to 1907. While in office, Canalejas (with the support of his sovereign, Alfonso XIII) introduced several electoral reforms that aimed to win working-class support for moderately conservative policies; to curb the power of independent political bosses, quite common at the time, especially in rural areas; to weaken excesses of Catholic educational clericalism without threatening the Catholic Church as such; and to turn Spain into a true democracy. These policies successfully faced the social turmoil that radicals had been creating within Spain (and which had led, in 1909, to a brief but bloody unrest in Barcelona). Canalejas's end was tragic. On 12 November 1912, while he was window-shopping the literary novelties of the day from a bookstore in central Madrid, he was fatally shot by anarchist Manuel Pardiñas. Canalejas believed in the possibility of a monarchy open to a thoroughgoing democratic policy both in economic and in civil and political matters. Salvador de Madariaga, the liberal historian, argued that the disasters Spain experienced during the 1930s could be traced to Canalejas' murder, given that this murder deprived King Alfonso of one of his few genuine statesmen. José Canalejas Méndez Universidad Carlos III de Madrid - Biographical page in Spanish about "José Canalejas"